They were on sale offering buy 1 take 1 pizza. 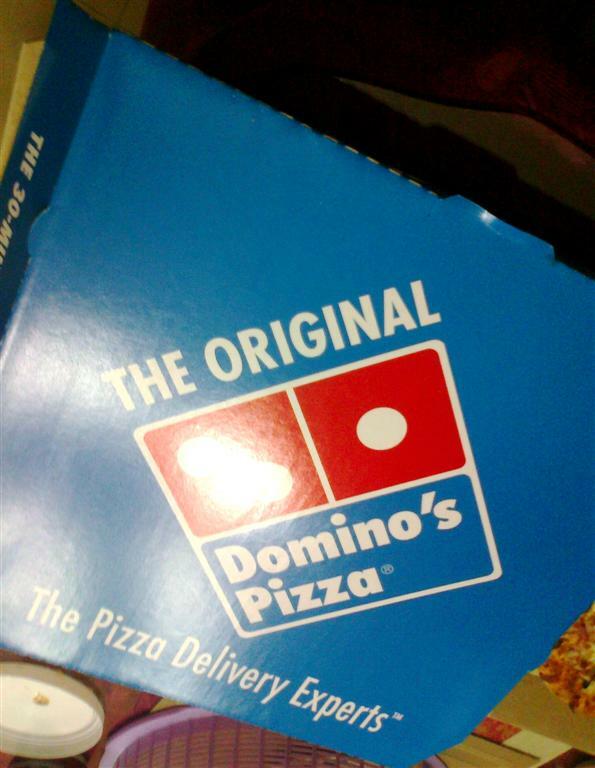 I got the Domino’s Deluxe and the Hawaiian. You can choose any pizza of the same size but you only need to pay the one that was more expensive. I had them to go and brought it back home. Another wow moment! It’s really good even if I brought it home and took some time before we ate it. 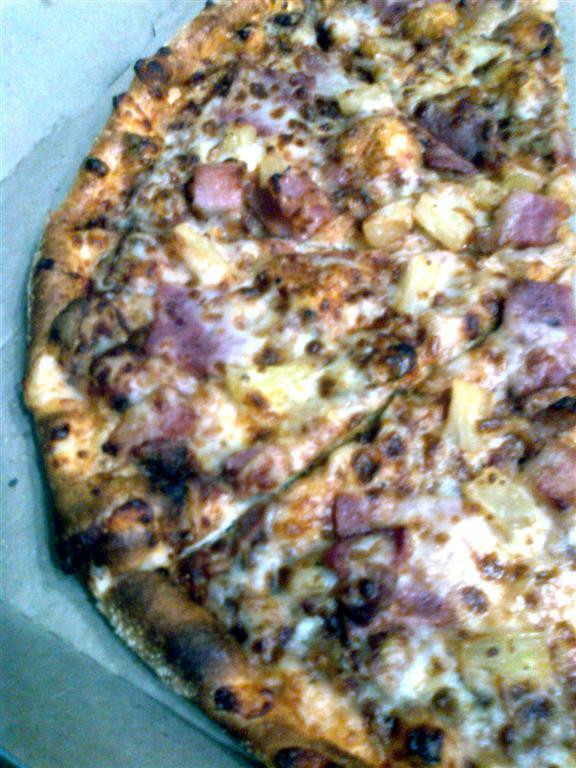 I really missed their crust and the generous toppings, unlike the Hawaiian pizzas of other chains this one does not skimp on the ham and pineapple. Although it’s their trademark, pizza, I kind felt bleah over it. Not much too say since it’s supposed to be their signature. It still tasted good but not extraordinary, maybe my standards changed since high school. It was OK for its price, the portion was also generous but it didn’t satisfy me as much as the Hawaiian. I asked my wife “bakit di ko malasahan?” she just laughed at me. Hehehe. 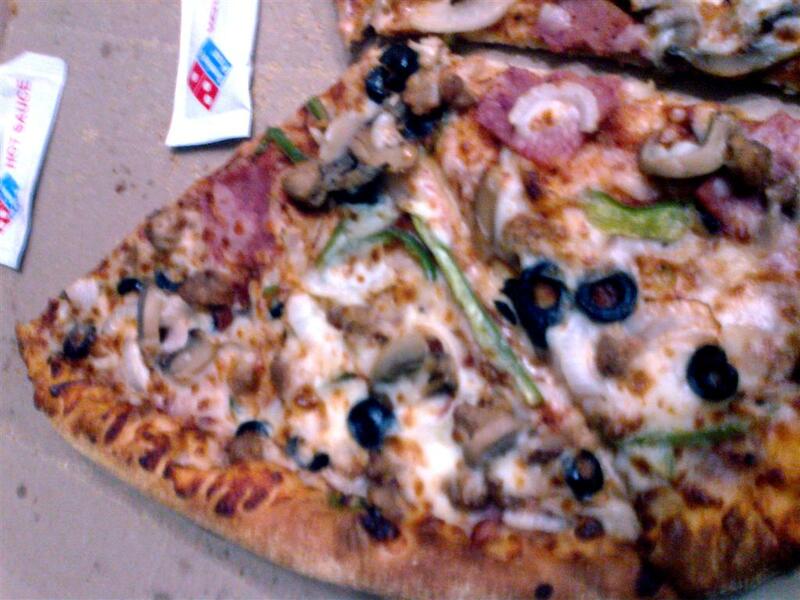 You should all try Domino’s again, their crust is superb and the toppings are generous. But I have to say try a different flavor, the Deluxe wasn’t as good as the Hawaiian. The service was fast though, they had an LCD screen that monitored the time it took to prepare the pizza and it was extremely accurate. I didn’t bother taking pictures of the store since it didn’t appeal as a great dine-in place, more of a quick bite joint. It was clean and industrial looking, I guess that would suffice for a pizza place. Highly recommended, especially for nostalgic pizza lovers. This entry was posted in American, Makati, Pizza / Pasta and tagged Fast Food, Maka, Makati, Pizza by manilafoodblog. Bookmark the permalink.